Aim? - It contemplated providing 25 kg. of foodgrains per month at highly subsidized rates of Rs. 2 per kg. for wheat and Rs. 3 per kg. for rice to each Antodaya family. The total number of families to be covered under this scheme was placed at one crore. It contemplated providing 25 kg. of foodgrains per month at highly subsidized rates of Rs. 2 per kg. for wheat and Rs. 3 per kg. for rice to each Antodaya family. The total number of families to be covered under this scheme was placed at one crore. Aim? - To change negative family and community attitudes towards the girl child at birth and towards her mother, To improve enrolment and retention of girl children in schools, To raise the age at marriage of girls, To assist the girl to undertake income generating activities. Note: During 1999-2000, Govt. of India recast the scheme and the benefits and means of delivery have been redesigned to ensure that financial benefits accrue to the girl child. Balika Samridhi Yojna is being implemented in both rural and urban areas. When launched? - May 16, 2005 by the then Prime Minister, Manmohan Singh as part of successful completion of one year of the UPA government. Aim? - Ambitious scheme of Rs 175 crore for rural infrastructure development. There were namely six areas under Bharat Nirman viz. - irrigation, road development, water supply, housing, rural electrification and rural telecom connectivity.Villages with a population of 1,000 (500 in tribal areas) would be connected with a road.. Construction of 60 lakh additional houses for the homeless rural poor.. An additional 1 crore hectare area in the rural areas would be brought under irrigation,. An additional 74,000 habitations would be provided with drinking water. Aim? - Provides financial assistance to rural poor for constructing their houses themselves. Under the scheme, financial assistance worth Rs.70,000/- in plain areas and Rs.75,000/- in difficult areas (high land area) is provided for construction of houses. The houses are allotted in the name of the woman or jointly between husband and wife. Note: Started in 1985 as part of the Rural Landless Employment Guarantee Programme (RLEGP), Indira Awaas Yojana (IAY) was subsumed in Jawahar rojgar Yojana (JRY) in 1989 and has been operating as an independent scheme since 1996. Aim? - Provides food, preschool education, and primary healthcare to children under 6 years of age and their mothers. These services are provided from Anganwadi centres established mainly in rural areas and staffed with frontline workers. Note: By merging the two erstwhile wage employment programme – National Rural Employment programme (NREP) and Rural Landless Employment Guarantee Programme (RLEGP). 80:20 cost sharing basis between the centre and the States. Aim? - The main objective of the yojana was additional gainful employment for the unemployed and under-employed persons in rural areas. Important: Since April 1, 1999 this Yojna was replaced by Jawahar Gram samridhi Yojna. Later from September 25, 2001, Jawahar Gram Samridhi Yojna was merged with Sampoorna Grameen Rozgar Yojna. When launched? - May 17, 1998 by the then Prime Minister A.B. Vajpayee in Malappuram. Note: Kudumbashree, a female-oriented, community-based, poverty reduction project of Government of Kerala. Aim? - Empowerment of women, through forming self-help groups and encouraging their entrepreneurial or other wide range of activities. The purpose of the mission is to ensure that the women should no longer remain as passive recipients of public assistance, but active leaders in women-involved development initiatives. Aim? - Empowering rural women through development of thrift habit and building confidence and self-reliance. Under the scheme any adult rural woman could open the MSY account in the post office with a minimum deposit of Rs 4/- or in multiples of Rs.4/- subject to a maximum of Rs.300/-. Aim? - Launched in 150 of the most backward districts of India with the objective of generating supplementary wage employment. The programme is open to all rural poor who are prepared to do manual, unskilled labour. It is implemented as a centrally-sponsored scheme. 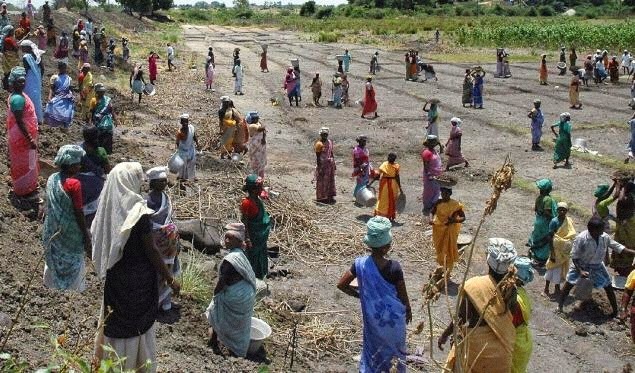 Important: This program was merged with the National Rural Employment Guarantee Act (NREGA) in February 2006. Please note: This article has been prepared based on the online materials about schemes available in various websites. In case you find any error please bring it to our notice. We will correct it. Remaining schemes will be shared in our next post... Keep visiting.